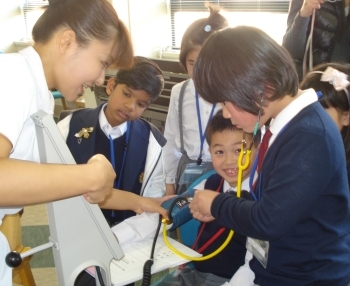 The Canadian International School Tokyo provides a Canadian-curriculum education for students from preschool to grade 12. The school is accredited by Canadian and Japanese Ministries of Education and is an IB World School. Admission is allowed at any time during the year. In addition to a rigorous academic curriculum, students engage in competitive sports, music activities, and a range of extra-curricular activities. A language support program exists to support students who require additional help.